Clenair gel - Just open the lid! Effective on odors caused by pets, mold, mildew, cigarette and cigar smoke, even skunks! Use ClenAir in your home, office, restrooms, boats and cars. Originally developed for use on central air systems and during fire and flood restorations. ClenAir is a professional product, yet it leaves no lingering antiseptic or perfume smell. 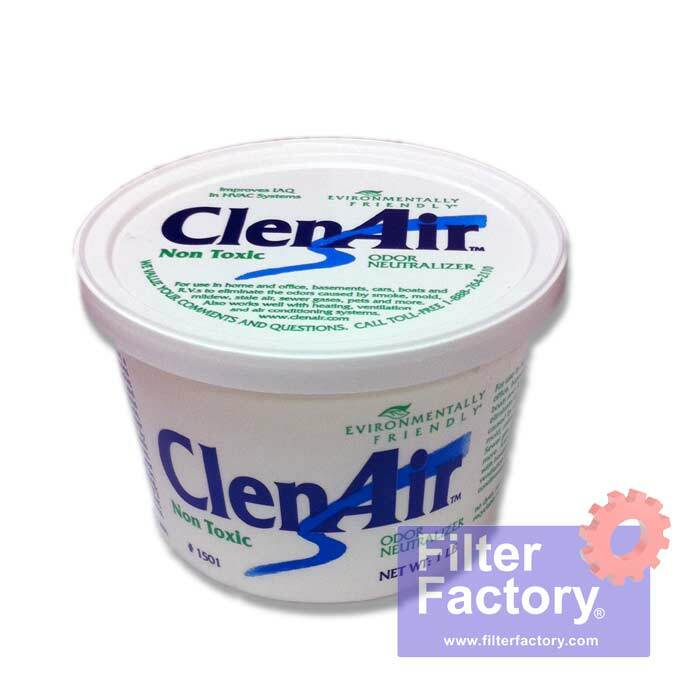 Just open the lid and let ClenAir take care of your odor problems. Great product! The air in my office smells fresher than it has in years due to this product!! 14 Clean Air Credits will be rewarded to you when you buy this item.